This year Oxfam America is celebrating International Women’s Day, held annually on March 8th, by asking their staff and supporters to share stories of “women who are making a difference in the fight against hunger, poverty, and injustice.” One of their staff members chose as her inspirational model BGR Executive Director, Kim Behan! The writer is Oxfam America’s Manager of Strategic Alliances Elizabeth Carty, whom Kim and I first met in Washington DC in 2010 and who helped us establish an ongoing partnership with Oxfam America. In the covering email, the Oxfam America team wrote to Kim: “Thank you so much for all the work you’ve been doing to make a difference in your community and in the world. You’re an inspiration to us.” And, I would add, she is an inspiration to all of us at BGR—truly one of the world’s outstanding Buddhist women. 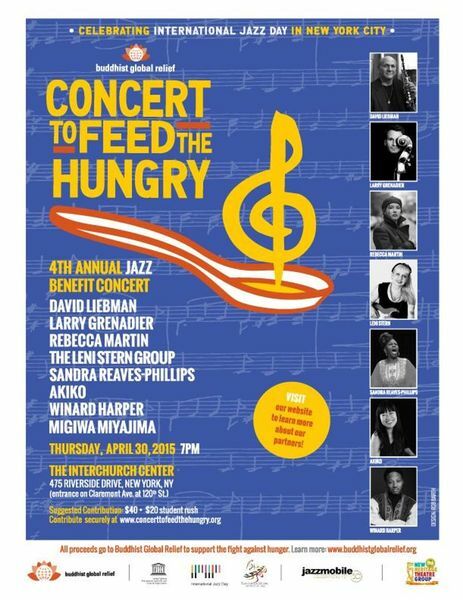 I am honoring Kim Behan, Executive Director of Buddhist Global Relief, because of her dedication to helping end hunger, poverty, and injustice. I first met Kim at a White House briefing for Faith Leaders in 2010. Her friendly and warm personality immediately drew me in, and we became fast friends. We were thrilled when Kim agreed to become an Oxfam Sisters on the Planet Ambassador. Not only has she and Buddhist Global Relief partnered over the years with Oxfam on World Food Day and International Woman’s Day, but they have also donated over $131,800 to Oxfam partners and projects over the past 3 years. 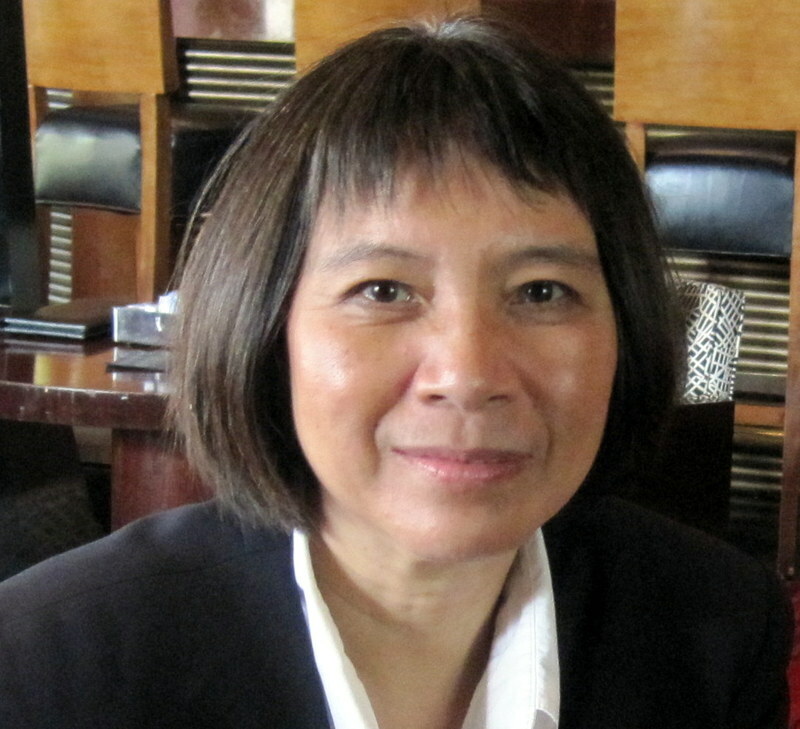 Like all staff at Buddhist Global Relief, Kim takes no salary but donates her time and expertise to the organization. She is truly dedicated to ending hunger, poverty, and injustice, and understands well how this vision will only be achieved by investing in women. Kim, I am proud to honor you this International Woman’s Day! Our chairman and founder, Ven. Bhikkhu Bodhi, received a special honor in late April when he was informed that his translation of the Anguttara Nikaya, The Numerical Discourses of the Buddha, was chosen to receive the 2013 Khyentse Foundation Prize for Outstanding Translation Work. The prize was established by the well-known Bhutanese lama, Dzongsar Khyentse Rinpoche, founder and chairman of the Khyentse Foundation. The purpose of the prize is “encouraging and honoring excellence in translation works that make the Buddhist heritage accessible to a broader public.” The Khyentse Foundation board set up the prize in 2011 and Ven. Bodhi’s translation was the second work to receive it. The prize’s selection committee is made of five Buddhist scholars: Naomi Appleton, Sarah McClintock, Tom Tillemans, Paul Harrison, and Peter Skilling. Peter Skilling is also the chair of the committee. On May 27th, Ven. 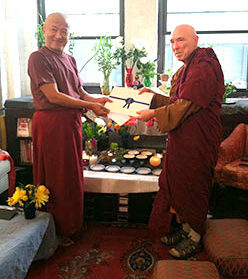 Bodhi traveled to New York to receive the prize from Dzongsar Khyentse Rinpoche, who was in New York on a short visit. Dzongsar Khyentse Rinpoche is also the founder of Lotus Outreach International, a humanitarian organization dedicated to serving and educating poor children in India and Cambodia. BGR has partnered with Lotus Outreach on numerous projects, among them the Girls Access To Education (GATE) and Non-Formal Education programs. Besides his eminence as a Buddhist teacher, Dzongsar Khyentse Rinpoche is also known as a filmmaker, his two major films being The Cup (1999) and Travellers and Magicians (2003). The $8,000 prize will be divided into two even portions. One portion of $4,000 is to be used to send sets of the four Nikayas, in English translation, to libraries, monasteries, and other institutions around the world. The other $4,000 was donated to BGR to fund projects in food aid, agricultural development, education, and right livelihood training. Your commitment to adding programs for people in need and our positive response from our members when you were last featured helped with our selection. It’s often assumed that an unbridgeable gap exists between the religious and non-religious. Challenge the Gap—Different Beliefs, Common Goals is an innovative humanist program that challenges this idea by finding and working the common ground between theists and non-theists. In April of this year, 100% of the funds collected in the Challenge the Gap beneficiary category will be distributed to BGR. Though we cannot guarantee any specific amount, the average raised for our recent beneficiaries has been approximately $7,000. We hope this contribution will assist you in the success of your programs. Foundation Beyond Belief is a charitable foundation created to focus, encourage, and demonstrate generosity in the secular humanist community. The Foundation highlights five charitable organizations per quarter. Its members (over 1,100) join by signing up for a monthly automatic donation in the amount of their choice, and then set up personal profiles to indicate how they would like their contribution distributed among the featured causes. At the end of each quarter, 100% of the donations are forwarded to the beneficiaries and a new slate is selected. More information about the Challenge the Gap program can be found on their website here. Buddhist Global Relief’s mission is simple to put into words—to combat chronic hunger and malnutrition—but the work they do is anything but simple. Their vision is a complex image of a future without poverty, with equal access to education, where we live in harmony with our natural world, and where all people have the shelter, clothing, and health care they need. To work toward their vision of an improved world, Buddhist Global Relief works to sponsor programs around the globe run by local organizations with track records of success in those communities. These programs support the BGR mission by providing direct food aid, developing sustainable approaches to food production, educating young women and girls, and giving girls opportunities to start projects to support their families. Naturally, we are deeply grateful to the Foundation Beyond Belief for their cordial words and for selecting BGR as their beneficiary. We are also grateful to all our donors, supporters, and volunteers, whose contributions of whatever sort have enabled BGR to win the respect of the wider humanitarian community.